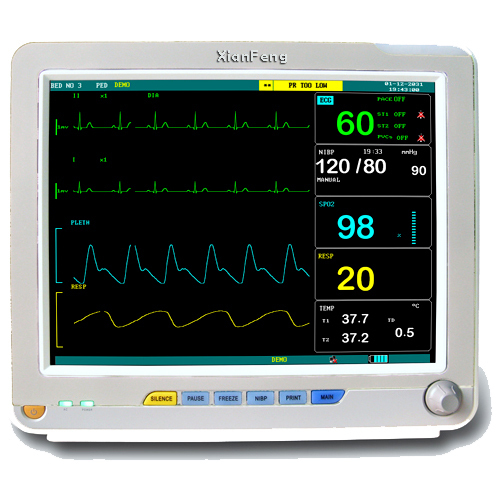 This portable 15-inch TFT high-definition display monitor is suitable for hospitals to monitor the patient's ECG, NIBP, SpO2, RESP, TEMP, PR/HR,ECG parameters, to provide doctors with accurate disease judgment data, the instrument is small, light weight, easy to carry! 8. 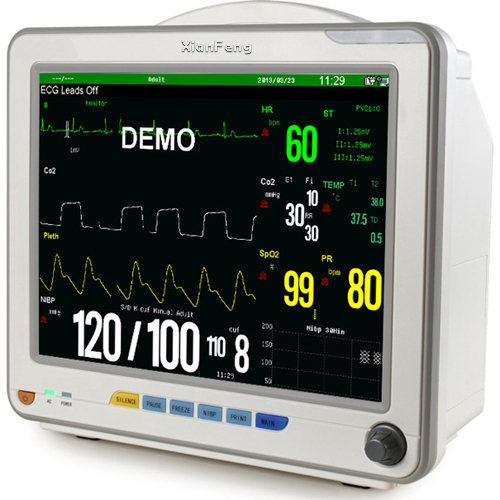 Network: TCP/IP networking platform, connect with central monitoring system.Wifi central monitoring system (optional).